(Panama) Eight years after the first WAD in Madrid, the fire, love, and strength of the young witnesses of the Redeemer remained alive. 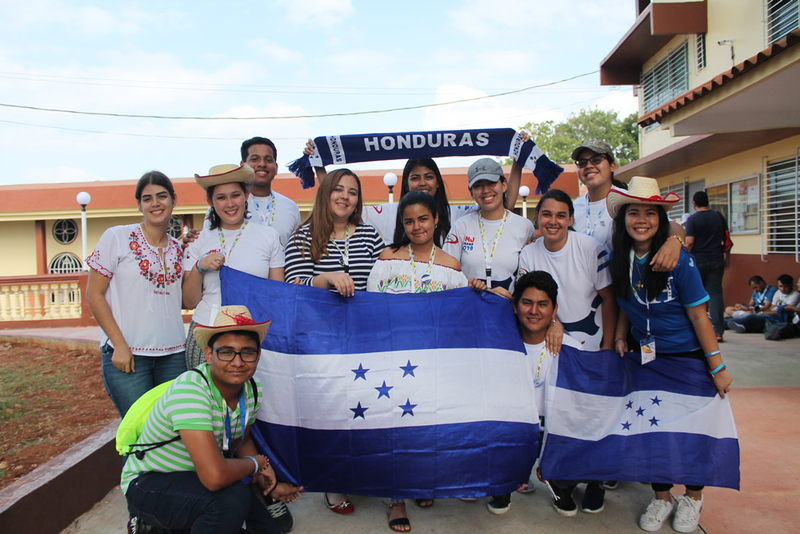 For this reason, once the WYD 2019 was announced by the Holy Father, where he initiated the “WAD Panama 2019” project in the Province of Central America. 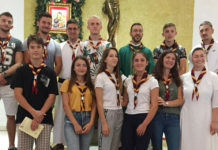 This project was in the hands of the young Redemptorists from different countries of the province, who put all their love, time and dedication so that the rest of the young people who shared their mission and love for the Most Holy Redeemer would have had a great experience to remain steadfast in the faith. 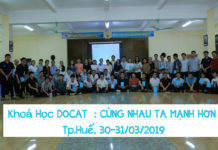 What seemed like a distant project began about five days ago, when young Redemptorists from all over the world arrived in our country, the WAD was already here! Day after day more and more witnesses of the Redeemer appeared and the joy, the strength and the emotion of the St. Gerard Maria Majella Parish seemed simply inexplicable. And finally, January 23 arrived! The day began with full of Redemptorist chants and the wise words of Monsignor Henriquez, bishop of Caracas, who offered the catechesis “I am here” to our young people. 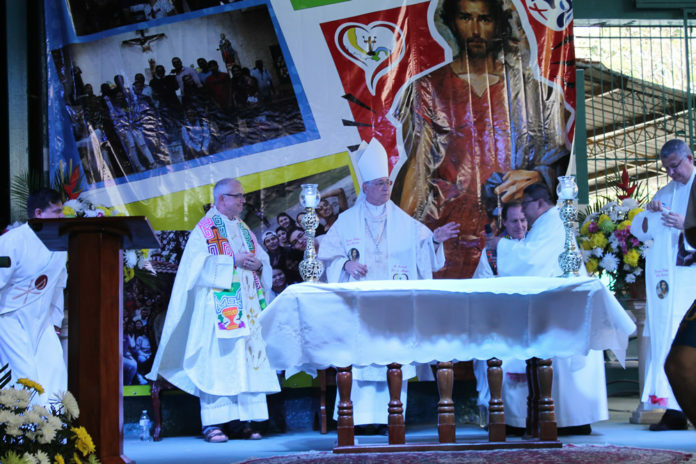 Then the Holy Eucharist was celebrated with the flags and priests of various countries of the world and with the temporary vows ceremony of the two Redemptorist brothers Jonathan and Fermín. 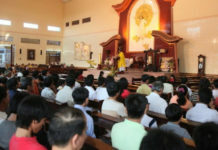 After the Holy Eucharist, there were songs, dynamics and a lot of fun-filled activities. Then the holy hour began to recharge our spirit and continued with the great Redemptorist party night. 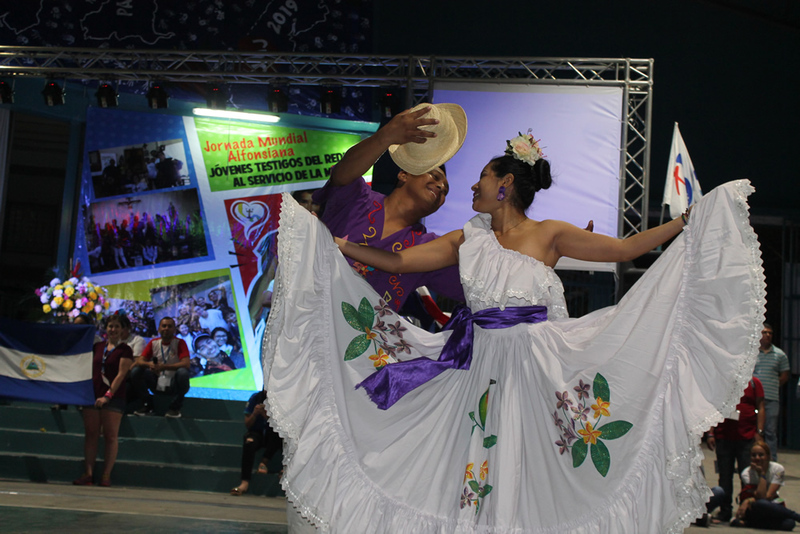 After 21:00 the talent night began with the representation of the various delegations, where they presented their culture through their costumes, their greatest joy through performances, but above all their brotherhood. Fr. Michael Brehl, Superior General, Fr. Pedro López, Consultor General, Fr. Marcelo Araujo, Coordinator of the Conference of Latin America and the Caribbean, Fr. Pawel Drobot, Head of the RYVM General Commission, were present throughout the Alphonsian day. Fr Nery Méndez, Provincial Superior of Central America, Fr Gustavo Cruz, Superior, Parish Priest and In charge of the day, many confreres of the Province and of the whole Congregation, 900 young people from many parts of the world attended the program. Thank you, Lord, for allowing us to live this WAD!